The National Live Scan Association (NLSA) is an approved and certified Florida out of State fingerprinting location (in Los Angeles). Centrally located in West Los Angeles (Culver City, CA), Out of state Florida LiveScan fingerprinting applicants now have the flexibility and convenience of getting their fingerprints taken in California. Florida applicants getting fingerprinted on an LiveScan Device are consenting to a background check. This electronic “fingerprint background screenings” are required to be submitted electronically to the Florida Department of Law Enforcement (FDLE) and the Federal Bureau of Investigation (FBI). This requirement applies for applicants whose prints were taken in the state of Florida, to include out of state and out of the country applicants. As a Florida out of State fingerprinting location (in Los Angeles), the NLSA enforces a high level security handling all applicants data; this includes submitting applicants descriptive data and capture fingerprints over a secure and encrypted server. There are two (2) ways to complete a Florida Criminal Background check done out of state – Florida LiveScan or Hard Card Scanning. An applicant seeking a Florida out of State fingerprinting location (in Los Angeles) can visit the National Live Scan Association’s Corporate Office. Doing so satisfies the requirements as a Florida out of State LiveScan applicant. The National Live Scan Association has also meets the requirements set by Florida Department of Health’s Clearinghouse. This includes the ability to communicate electronically with the Florida Department of Law Enforcement and provide a photograph of the applicant taken and submitted during their fingerprinting process. It is important to understand that NLSA’s Florida out of State fingerprinting location (in Los Angeles) is in compliance with Florida’s requesting agencies. This includes photographing Florida LiveScan applicants requiring such. NOTE: Florida applicants are to advise the LiveScan Service Provider that their photo must be taken and submitted with their descriptive and data and fingerprints. Applicants seeking a Florida out of State fingerprinting location (in Los Angeles) can schedule for their LiveScan and AHCA photographs online,FloridaLiveScanAppointments.com. The National Live Scan Association’s Florida online scheduling system (FloridaLiveScanAppointments.com) provides the flexibility and well deserved convenience for applicants to schedule. Florida LiveScan appointments are typically made available six (6) days a week, Monday through Saturday. Florida out of State LiveScan services may also be made available at “other times and days” such as on a Sunday, holiday and/or during non-business hours. In such instances, contacting the National Live Scan Association Corporate office is requested. For all Florida out of State fingerprinting locations (in California) contact National Live Scan Association today at (888) 498-4234, or visit FloridaLiveScanAppointments.com. Fingerprinting for Florida Live Scan out of State (in California) can done in West Los Angeles (Culver City, CA). Certified and approved by the Florida Department of Law Enforcement (FDLE), the National Live Scan Association (NLSA) is a Florida LiveScan Provider that offer fingerprinting services to Out of State applicants. There are two (2) ways to complete a Florida background check process outside of Florida – Florida LiveScan or Hard Card Scanning. A Florida Live Scan out of State (in California) can visit NLSA Corporate Office to complete their Florida LiveScan background check process. The National Live Scan Association has also meets the requirements set by Florida Department of Health’s Clearinghouse. This includes the ability to communicate electronically with the Florida Department of Law Enforcement and provide a photograph of the applicant taken and submitted during their fingerprinting process. The Florida LiveScan fingerprinting process involves having a Florida applicant’s being electronically fingerprinted on an approved FBI and FDLE LiveScan device. It is important to understand that Florida Live Scan out of State (in California) has different processes and procedures from other non-Florida requesting agencies. In many cases, Florida applicants may also require that their photograph be taken during the process. Applicants for Florida Live Scan out of State (in California) can schedule for their LiveScan and AHCA Photograph online. The National Live Scan Association’s online scheduling can be found by visiting FloridaLiveScanAppointments.com. Florida LiveScan appointment availabilities are Monday through Saturday. Florida Live Scan out of State services Sundays, holidays and during non-business hours maybe available under special circumstances and advanced arrangement. For all Florida Live Scan out of State (in California) contact National Live Scan Association today at (888) 498-4234, or visit FloridaLiveScanAppointments.com. The National Live Scan Association (NLSA) membership continues to expand nationwide. 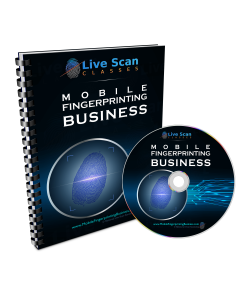 With a growing number NLSA certified Live Scan locations, Culver City and other training NLSA Live Scan locations have been instrumental in helping entrepreneurs and business owners start a successful Live Scan business. California NLSA Live Scan locations, Culver City, Long Beach, Victorville offices are a few of many that carry NLSA Certification in both Live Scan and Ink Card Fingerprinting services. As part of state of California “licensing requirements”, the Live Scan Technicians at these fingerprinting locations have been cleared by both the California Department of Justice (CAL-DOJ) and Federal Bureau of Investigations (FBI). These Live Scan Technicians and others in California are required to have their “Certified Fingerprint Rollers” by CAL-DOJ. Live Scan applicants will not only visit NLSA Live Scan locations for fingerprinting services, but many may need other services such as a Notary Public. Being part of a network of Notary Public locations is a basic requirement for California NLSA Live Scan locations, Culver City, Oceanside, South Los Angeles and even New Jersey NLSA Live Scan locations. Notary Public is an official appointed by state government. Notary Publics are authorized to perform certain legal formalities in serving the public as an impartial witness. Notary Publics services are basically put in place as official fraud-deterrent acts related to the signing of various types of documents. Live Scan Fingerprinting is a criminal background check required by various governmental agencies such as the California Department of Justice (CAL-DOJ), Florida Department of Law Enforcement (FDLE) and the Federal Bureau of Investigations (FBI) for professional licensees and certifications. At NLSA Live Scan locations, visiting applicants quickly experience personable Live Scan Technicians and good old fashion first class services still exist. To learn more on the opportunities in starting a success Live Scan Fingerprinting business visit National Live Scan Association at http://NationalLiveScan.org.